Who starts a career at an age when most people are looking at retirement? 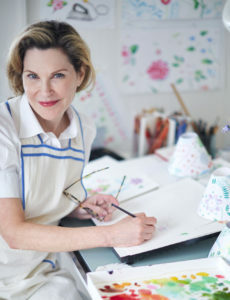 Coming off a divorce and a three-decade hiatus from professional life, award-winning illustrator Cathy B. Graham is having a second bloom. We sat down to talk about painting, fashion illustration, and floral design, as captured in Second Bloom: Cathy Graham’s Art of the Table (Vendome Press). We get into her artistic upbringing, her RISD education alongside Roz Chast & Dave Calver, the art of entertaining, her love of the Thorne Miniature Rooms and their influence on her life, her trepidation about returning to oil painting, the joy of Instagram, her New York and how she shifted from SoHo artist to Upper East Side culture maven. Most importantly, we talk about the regeneration and finding your new life. Give it a listen! 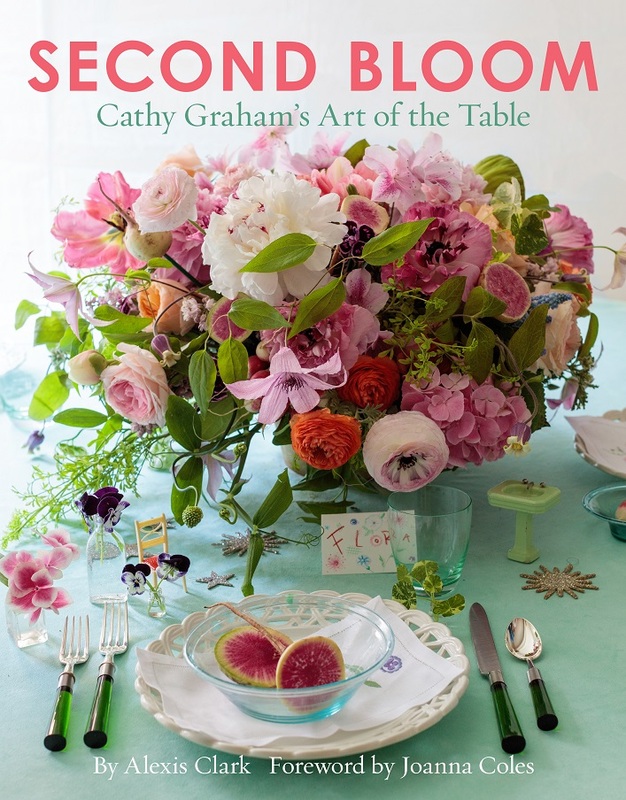 And go buy Second Bloom: Cathy Graham’s Art of the Table ! Cathy Barancik Graham is an award-winning artist and fashion illustrator. Her editorial work has appeared in The New York Times, Rolling Stone, and New York Magazine, and she has been commissioned by Bergdorf Goodman, Estée Lauder, CBS Records, and HBO. In addition, she has been a contributing editor of Elle Decor and House Beautiful. She is a graduate of the Rhode Island School of Design, from which she holds a BFA in Painting, and she studied Fashion Illustration at Parsons School of Design. For more than a decade, Cathy worked with the late floral designer and event planner Robert Isabell, noted for his unique lavish and innovative parties. Cathy resides in New York City, where she works to support cultural life by serving on the boards of Lincoln Center Theater, New York Restoration Project, and House of SpeakEasy. Her first book, Second Bloom: Cathy Graham’s Art of the Table (Vendome Press), was published in Fall 2017 by Vendome Press. Cathy is also the designer of a line of paper products comprising fashion note cards, gift and holiday cards, notebooks, and wrapping paper. She has recently launched several collaborations, which include a line of pajamas and textiles with Charmajesty Ltd., a signature Second Bloom candle with NEST Fragrances, and a line of decoupage home accents with Scott Potter. Credits: This episode’s music is Fella by Hal Mayforth, used with permission from the artist. The conversation was recorded at Ms. Graham’s home on a pair of Blue enCORE 200 Microphones feeding into a Zoom H5 digital recorder. I recorded the intro and outro on a Heil PR-40 Dynamic Studio Recording Microphone feeding into a Cloudlifter CL-1 and a Mackie Onyx Blackjack 2×2 USB Recording Interface . All processing and editing done in Adobe Audition CC . Photo of Ms. Graham by Quentin Bacon, so it’s not on my instagram.